What if Anne Neville had survived Richard…? Yes, she is, was and probably ever will be, an enigma. And heaven knows how Henry “Tudor” would have treated her – by shoving her in Bermondsey with Elizabeth Woodville? Probably. The quote is taken from here and regardless of its source being The “Tudor” Society, it is not biased against Richard. If it raises those vile rumours of his intention to marry his niece and poisoning Anne, it also argues against them. The real quibble I have is the statement that Richard would never have married Elizabeth because of “opposition in the North”. No mention is made of the Bible and Church forbidding uncles and nieces to marry, or of the fact that Elizabeth’s illegitimacy was rather a large obstacle too. Interesting for all that. And here’s another thought. Mine, this time. On the assumption that Anne not only survived Richard, but was also in good health. Would she have been drawn into any Yorkist plotting against Henry? After the apocalypse of Bosworth, would she have been tempted to support the Earl of Lincoln and the Earl of Warwick? Maybe even, at a push, Perkin Warbeck? Would she even have been in contact with Elizabeth Woodville, who was, after all, part of the House of York? It’s all an intriguing scenario. Book Review: “The Royal Funerals of the House of York at Windsor” by Anne Sutton and Livia Visser-Fuchs with R. A. Griffiths. Based upon articles originally appearing in The Ricardian from 1997-1999, Royal Funerals is probably one of the most comprehensive treatments of Yorkist burials at Windsor, and an excellent companion piece to Sutton/Visser-Fuchs’ The Reburial of Richard Duke of York: 21-30 July 1476. Together, these texts offer not only detailed analyses of royal English funerals from the late 15th century, but also exemplify the Yorkist use of pomp and ceremony to assert a hereditary position at the top of the ruling hierarchy. Royal Funerals describes the interments of Edward IV (April 1483), his two-year old son Prince George (March 1479), fifteen-year old Princess Mary (May 1482), and widowed Queen Elizabeth (June 1492), all of which occurred at St. George’s Chapel at the royal residence of Windsor Castle. Some information about Henry VI’s reinterment in 1484 is also provided. Helpful illustrations show the routes taken from the places of death to entombment, construction of hearses, assembled processions, and schematics of the chantry intended by Edward IV to be his mausoleum. The authors provide text from primary sources narrating the funerals, mostly taken from Royal College of Arms manuscripts and Great Wardrobe accounts, and a collection of Laments penned in honor of the king. A chapter on the subsequent renovation work at St. George’s Chapel explains modifications made to his tomb and there is a detailed account of the discovery and exhumation of Edward IV’s body in 1789, including the rather bizarre trade in hair samples collected from his corpse. The book is a study in contrasts. Edward IV died at age 42, unexpectedly and during the zenith of his reign, and his obsequies reflect that. Because more narratives exist, a reconstruction of the day-to-day ritual is possible; such is not the case for his predeceased children who received dignified burials befitting their station. Yet, it is hard not to be impressed with the sheer magnificence of the king’s ceremonies, the “veritable forest of banners carried” during them, the splendor of his hearse which abounded with rich gilt-worked pillars holding the finest candles, sumptuous silks, and hundreds of sculptures depicting angels and Yorkist heraldry. The reader is treated to the spectacle of Sir William Parr — bareheaded but in full armor, riding the king’s charger trapped in his coat of arms, carrying a battle-axe in his hand, pommel held downwards — as he rode up the nave, dismounted at the choir door, and offered Edward IV’s knightly achievements. There are moments of less sobriety too; for example, the tussle between Lord Maltravers and William Berkeley over who took precedence, and the exasperation of the reporting herald who finally gave up on detailing the ceremonial offering of cloths to the casket because the frenzy and press of people were too great for him to note the individuals involved. The 1492 funeral of dowager Queen Elizabeth, by comparison, was almost stark in its austerity. On her deathbed at Bermondsey Abbey, she wrote in her will that she desired to be buried next to her husband “without pompes entring or costlie expensis donne thereabought”. Thus, her body was taken to Windsor by the River Thames with no cortege, tolling bells, or religious services en route. It was accompanied by five companions of modest station, including Edward IV’s illegitimate daughter Grace. She had a “low” hearse of four wooden candlesticks, candles of no great weight, and recycled torch “ends”. The authors speculate her funeral obsequies were not planned by the royal heralds, as the reporting herald’s narrative makes repeated mention of the irregularities and lack of ceremony demonstrated. Perhaps this underscores the political realities of the day. Victors were compelled to give “lip-service” to the former dynasty, but the demands of perpetuating a new one required a vastly different, and extravagant, outlay. The next dynasty, the Tudor one, would reflect this in the incredibly over-the-top tomb of Henry VII in the Lady Chapel at Westminster Abbey, or in Elizabeth I’s frugal “restoration” of St. Mary and All Saint’s Church at Fotheringhay. Royal Funerals has much to offer readers interested in the critical time period of April, 1483 and the weeks following the Edward IV’s death. There are mysteries that still exist, such as who acted as chief mourner. Richard, Duke of Gloucester, had yet to arrive in London from Middleham. 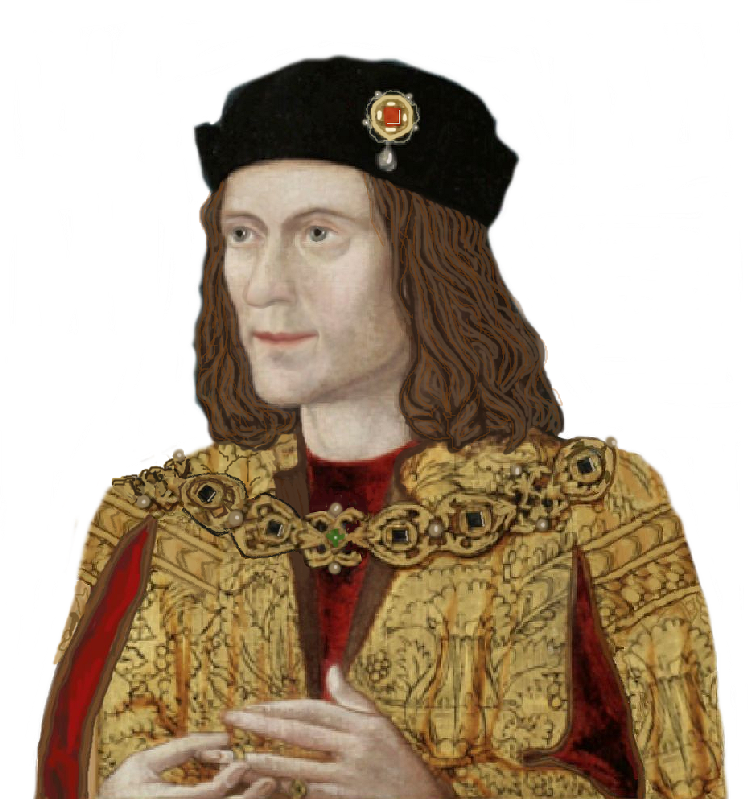 It is almost eerily prophetic when, at the climax of the royal obsequies on April 19, the officers of Edward IV’s household threw their staves of office into his tomb with the body, indicating they were now “men without a master and without office”. The heralds threw in their coats of arms, and then were presented with new ones with the cry “The King lives!” Such a simple declaration at the time, yet in only two short months, the question of the king’s identity would transfix a nation. When I found he’d left me in the lurch. Henry VII, as he had become, certainly wasn’t in a hurry either to marry or to crown his bride, was he? Note the conditional promise – that he would try one of her sisters if she were already married (and we now know from the Portuguese records that Manoel of Beja was her likely husband whilst Buck recorded her joy at this prospect) – which scarcely marks him down as the romantic sort. Sending his mother-in-law to an Abbey (a male one at that) would have delighted a whole generation of comedians. Now it seems likely that he sought to continue, in the immediate aftermath of Bosworth, the negotiations to substitute himself as a husband for Joao II’s sister Juana.